Catch the first part of our CAUSINDY 2018 wrap-up here! The last panel for CAUSINDY 2018 was about Regional Security, which featured Dr. Grey Raymond (Research Fellow in the Strategic and Defence Studies Centre at the Australian National University) and Prof. Philips Vermonte (Executive Director of the Centre for Strategic and International Studies (CSIS) Jakarta), moderated by Natalie Sambhi (Research Fellow at the Perth USAsia Centre). The speakers provided a deep insight on the regional security of the Asia-Pacific, with discussions on the South China Sea, maritime identity, the decline of the US from the Pacific, as well as traditional and non-traditional security issues that relate to Indonesia-Australia relations. The session contained a combination of academic insights from experts and opportunities for collaboration, and examined the pressing security challenges facing the region, as well as the opportunities for Indonesia and Australia to cooperate in responding to these. 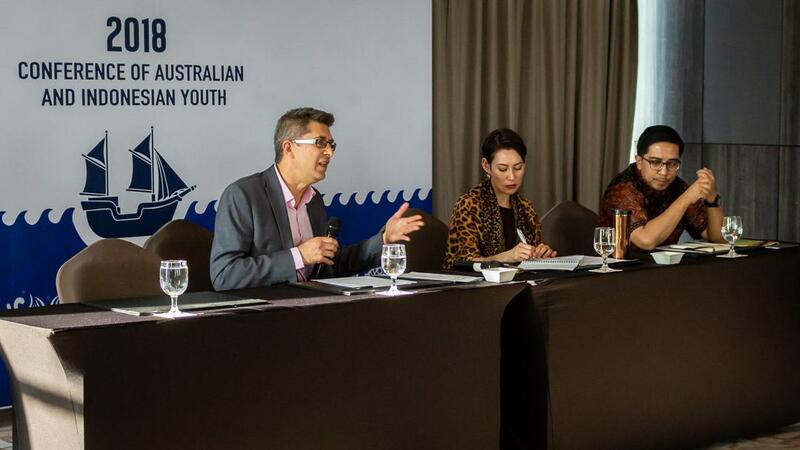 It talked about how important the maritime space is to the national security of each country and in what ways non-traditional threats are affecting the security of Indonesia and Australia. Another core program of CAUSINDY is Engaging Future Leaders, or EFL. This program involved Indonesian students to engage in a one-day language exchange program with CAUSINDY delegates. The aim of the program is to strengthen the cross-cultural understanding between Australia and Indonesia. 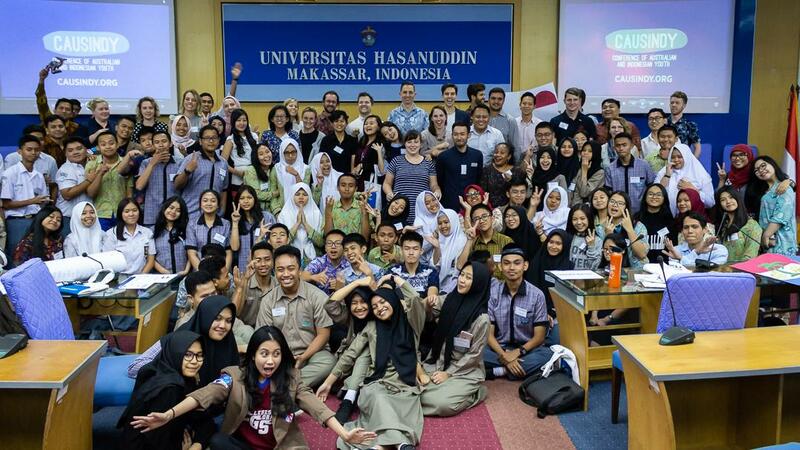 This year, EFL was held at the Universitas Hasanuddin (UNHAS) on the second day of the conference, collaborating with UNHAS and Youthful.social as Education Partners. There were seven local high schools involved, with a total of 65 students attending. With ‘Connected by Sea’ as the theme, the EFL program facilitated students and CAUSINDY delegates to engage in a project-based activity called The Flag Project. In this project, students and CAUSINDY delegates worked together in separate groups to design a flag that best represented the bilateral relationship between Australia and Indonesia, using pictures and drawings to symbolise the relationship between the two countries. As part of the CAUSINDY Review, delegates worked together under the mentorship of experts to explore issues in the Australia-Indonesia relationship, and develop practical and creative solutions – to put their discussions and experiences into action, by collaborating on a tangible piece of work that will help strengthen the bilateral relationship between Australia and Indonesia. This year, the CAUSINDY Review mentors were Elena Williams (a higher education consultant who served as the Resident Director of ACICIS), Dr. Lily Yulianti Farid (writer and founder of Makassar International Writers Festival), Aron Corbett (Diplomat at the Australian Consulate-General in Makassar), Mariam Kartikatresni (Director of Indonesian Development at UTS Insearch), and Fendi Liem (an Indonesian clean energy entrepreneur). On the last day of the conference, after previously mapping out idea for the projects and preparing a group presentation, delegates pitched their project proposals to the other CAUSINDY Review teams and a panel of mentors, who then provided feedback on each project. 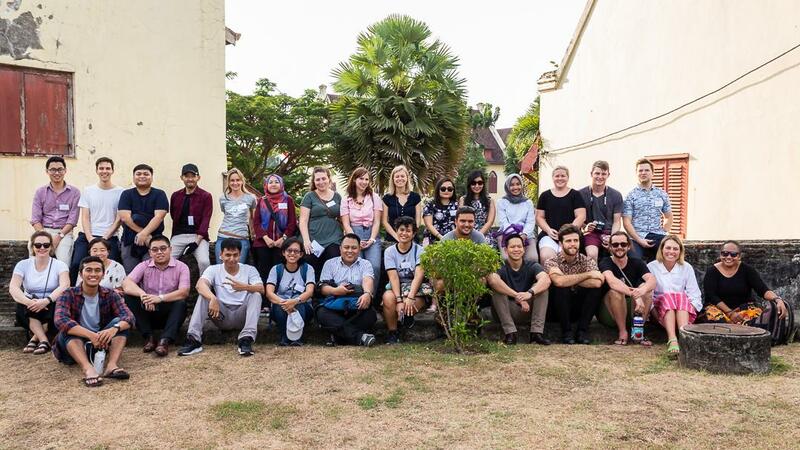 As part of the conference program, delegates also had the chance to have fun by exploring some historical highlights of the city, including a tour of Fort Rotterdam, a relic of the Dutch colonial period in Indonesia, and a moment of enjoying Makassar sunset over Pantai Losari. 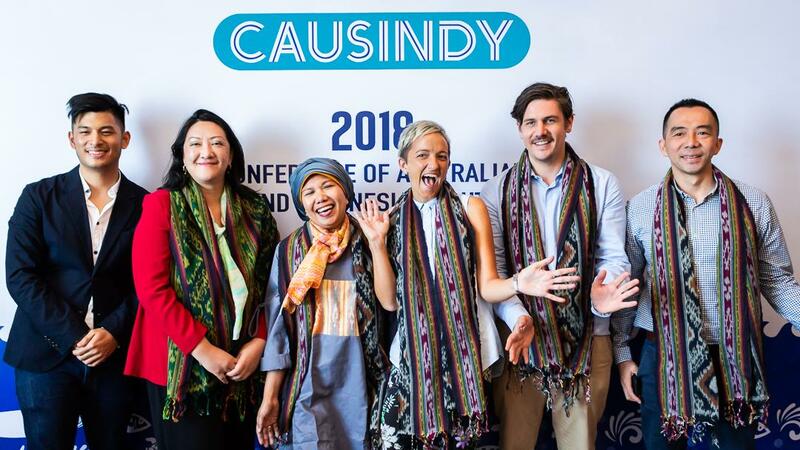 The last evening program of CAUSINDY was the Gala Dinner, which brought together speakers, partners, delegates, mentors, and community leaders. The Gala Dinner included a speech from CAUSINDY CEO Jay Stevens, who expressed his gratitude for everyone involved in CAUSINDY who contributed towards the growth of the bilateral relationship. Another speech was given by Australian Consul-General in Makassar Richard Mathews, who stated that Australia and Indonesia have always had better awareness and understanding of each other. The dinner provided delegates and other audience members with an opportunity to wind down and reflect on the conference as a whole. Last but not least – a big thank you to our amazing partners and sponsors for their support throughout this year’s conference, which made everything possible. 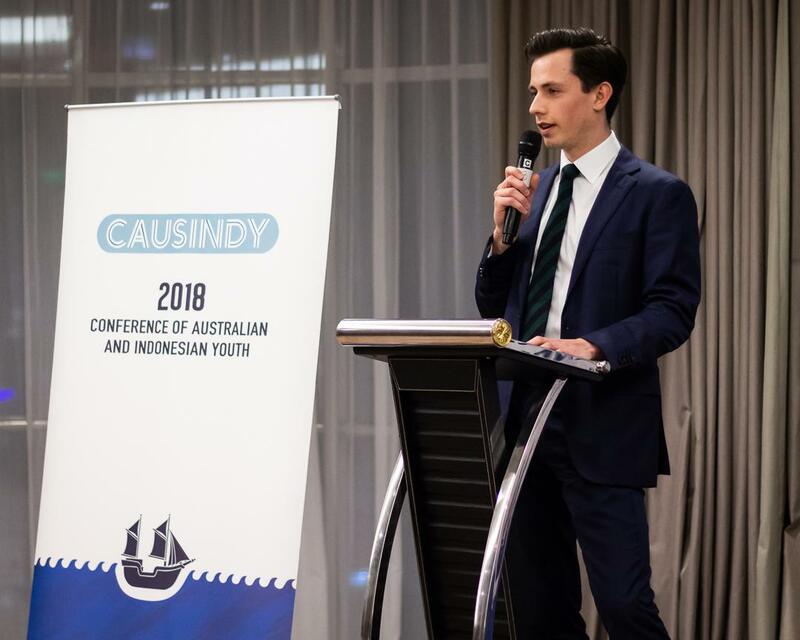 CAUSINDY 2018 may have ended, but the team is looking forward to preparing for CAUSINDY 2019, which will be held in Australia at an as-yet undisclosed location!